Note:DT-47859 outer seal protector prevents the piston seal lip from damage during installation. Apply a thin coat ofATF to the I.D. of DT-47859 outer seal protector to ease the installation of the piston. Note:DT-47693-1 which is part of DT-47693 dam protector prevents the dam seal lip from damage during installation. Apply a thin coat of ATFto the I.D. of DT-47693-1 which is part of DT-47693 dam protector to ease the installation of the dam. Note:Note location of the orientation lip on bearing. 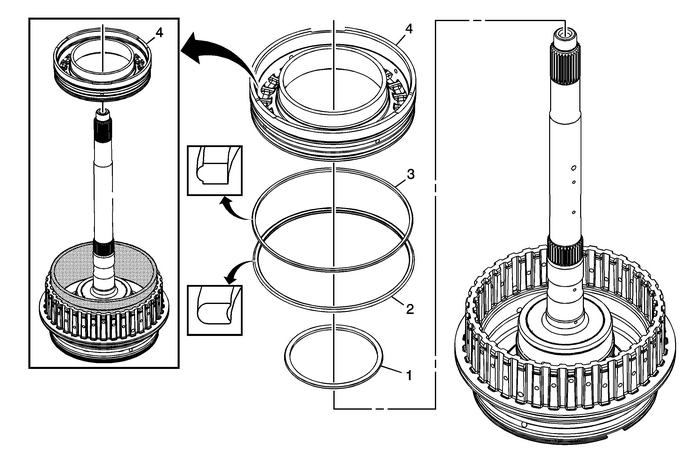 All thrust bearings can only be assembledone way. 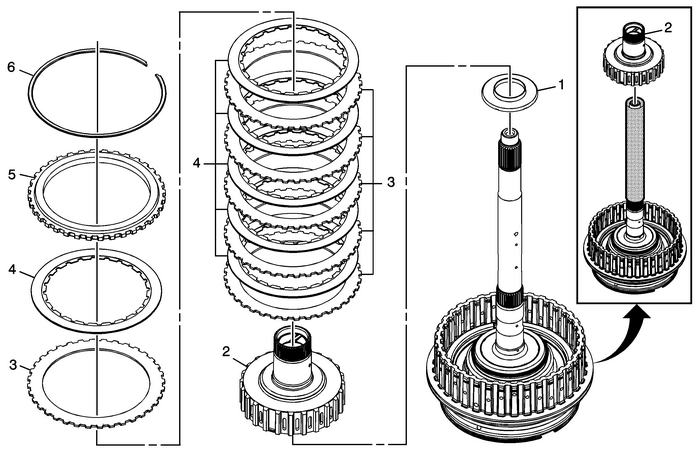 Caution:Failure to use DT-48551 could cause damage to thehub assembly bushings which could cause premature transmissionfailure. 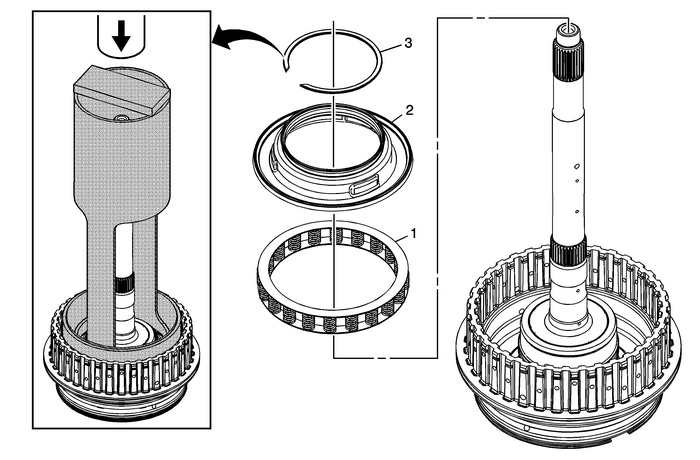 Note:Apply a thin coat of ATF to the seal to ease the installation of the piston. DT-46622 seal protector prevents the piston seal lip from damage during installation. Apply a thin coat ofATF to the I.D. of DT-46622 seal protector to ease the installation of the piston.Install DT-46622 seal protector onto the speed sensor reluctor wheel. 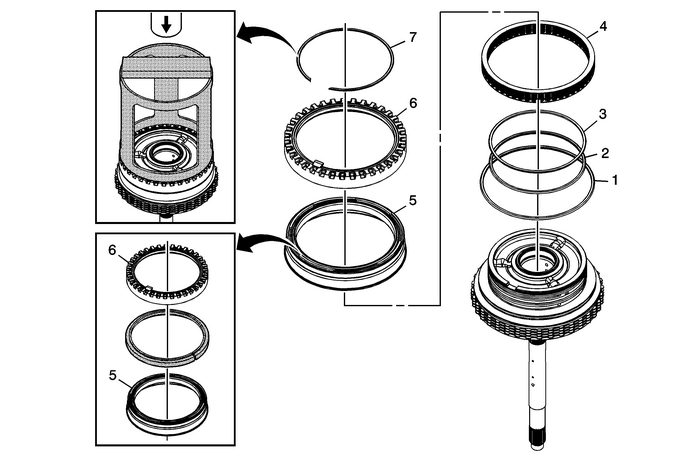 Push the 3–5 Reverse Clutch piston into thereluctor wheel until it stops against J-46622 seal protector. Remove DT-46622 seal protector by separating it at theopening. Caution:Compress the reluctor wheel just enough to clear the retainerring groove. Over compressing the reluctor wheel will break thealignment tab and the clutch housing. Note:The fluid seal rings should be in place and not damaged. Caution:Regulate the air pressure to 40-psi maximum. 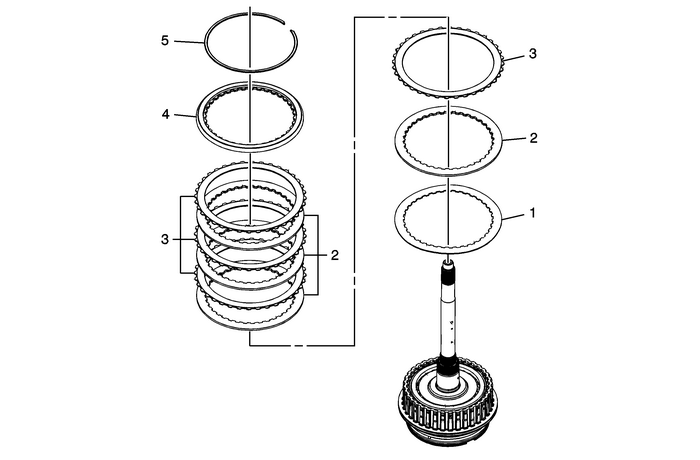 Highpressure could cause the piston to over travel and damage thepiston seals. 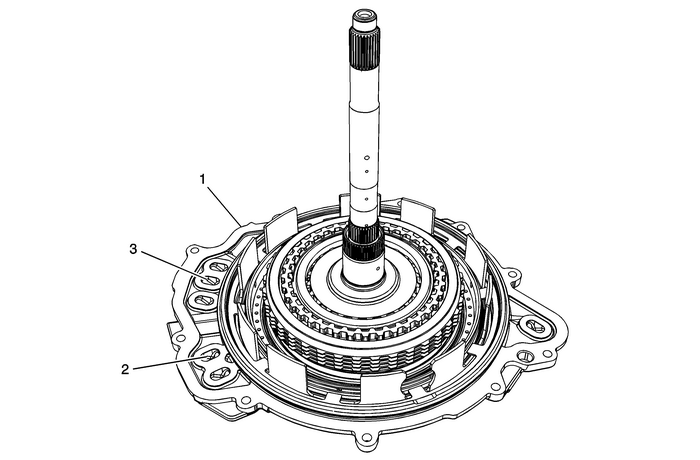 ProcedureApply shop air to the 4-5-6 clutch feed passage.Observe the 4-5-6 piston movement. Note:Minimal piston movement and excessive air leaking could indicate damage to the 4-5-6piston seals or improper assembly. ProcedureApply shop air to the 3-5-Rev clutch feed passage.Observe the 3-5-Rev piston movement. Note:Minimal piston movement and excessive air leaking could indicate damage to the 3-5-Revpiston seals or improper assembly.